Cunco, who earned fame as Frankel’s first winner as a sire, has left John Gosden’s yard and will continue his career in the US, where he will be trained Chad Brown. 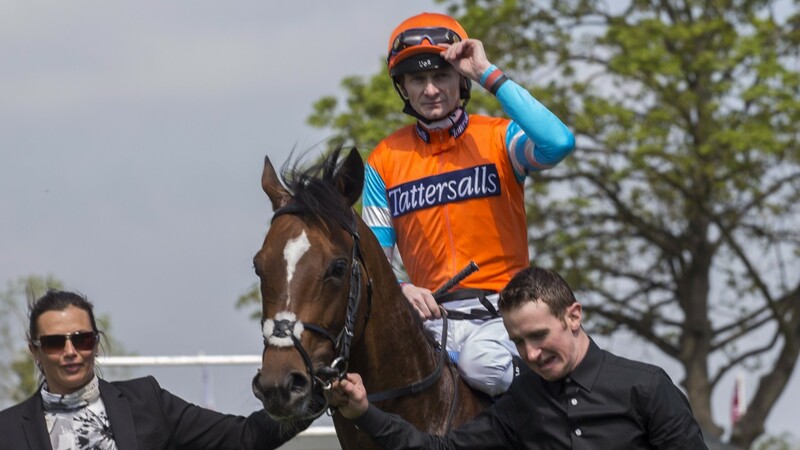 Having scored at Newbury on his debut as a two-year-old in May last year, Cunco did not win again until landing the Classic Trial at Sandown in April before coming sixth in the Chester Vase. Gosden said: “Cunco left a few weeks ago for the US as there may be more opportunities out there as a Listed/Group 3 horse. Owned by the Don Alberto Stable, Cunco raced nine times for Gosden and never competed beneath Listed level after his Newbury debut under Robert Havlin. Brown, who won his first Eclipse Award as North America’s outstanding trainer for 2016, has yet to formulate a plan for the colt, who he says is currently “at the farm” after his transatlantic crossing. The Preakness-winning trainer initially made his reputation with similar ex-European types, among them the former Andre Fabre-trained Flintshire, whom he trained in 2016, and Time Test, who joined him this season after leaving Roger Charlton. Brown will field several runners, headed by Breeders’ Cup winner New Money Honey, at this weekend’s Stars & Stripes Festival at Belmont Park, where Aidan O’Brien may run Homesman and Whitecliffsofdover in the $1.2 million Belmont Derby Invitational, a race O’Brien won last year with Deauville. The Kenny McPeek-trained Daddys Lil Darling, withdrawn from the Oaks at Epsom after bolting before the start, is set to reappear in the Grade 1 Belmont Oaks on the same card.